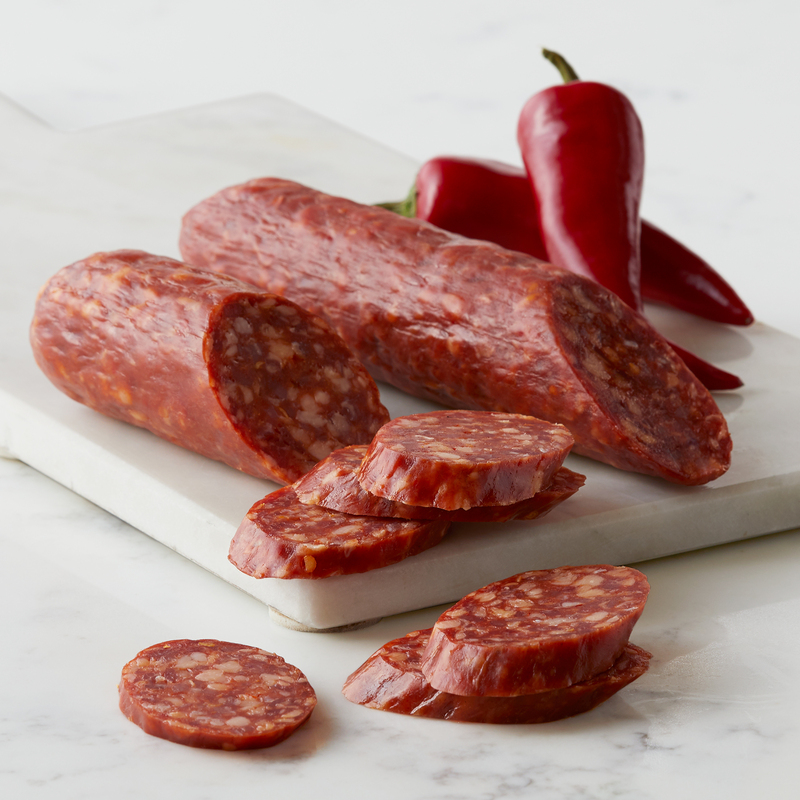 Our Three Pepper Dry Salami is made with spicy white pepper, cayenne, and crushed red peppers, before being cured by a master salumiere for a full-bodied flavor that builds in heat with each wonderful bite. Enjoy this spicy salami alone or paired with our 3-Year Aged Cheddar or creamy Triple Crème for the ultimate flavor experience. 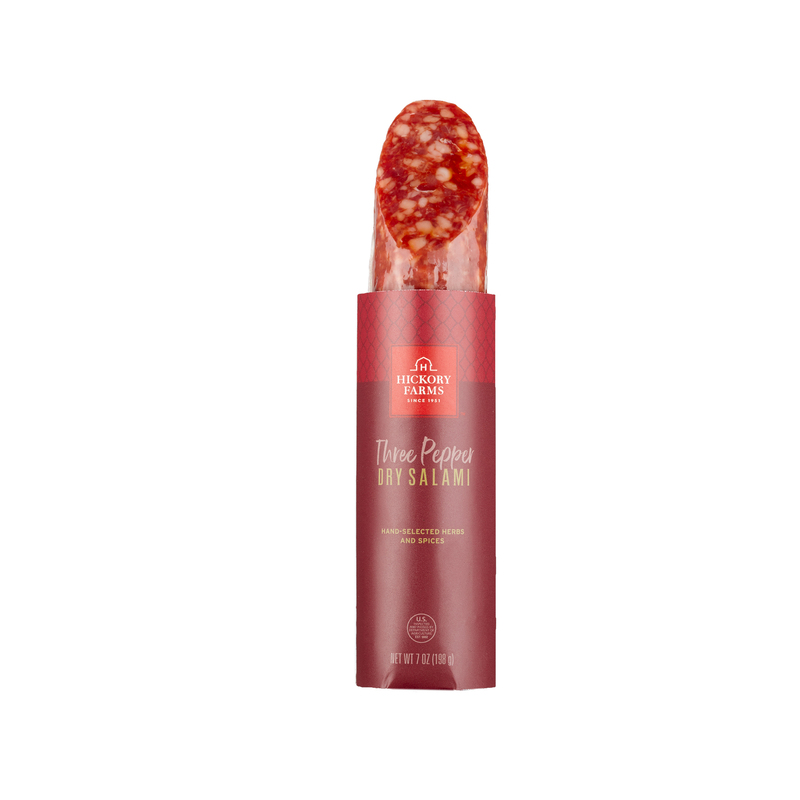 Makes a great gift for someone who enjoys a little spice to a savory dry salami.